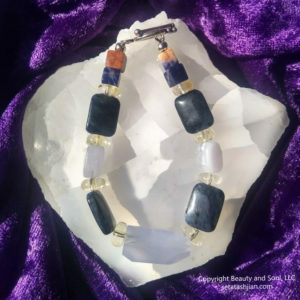 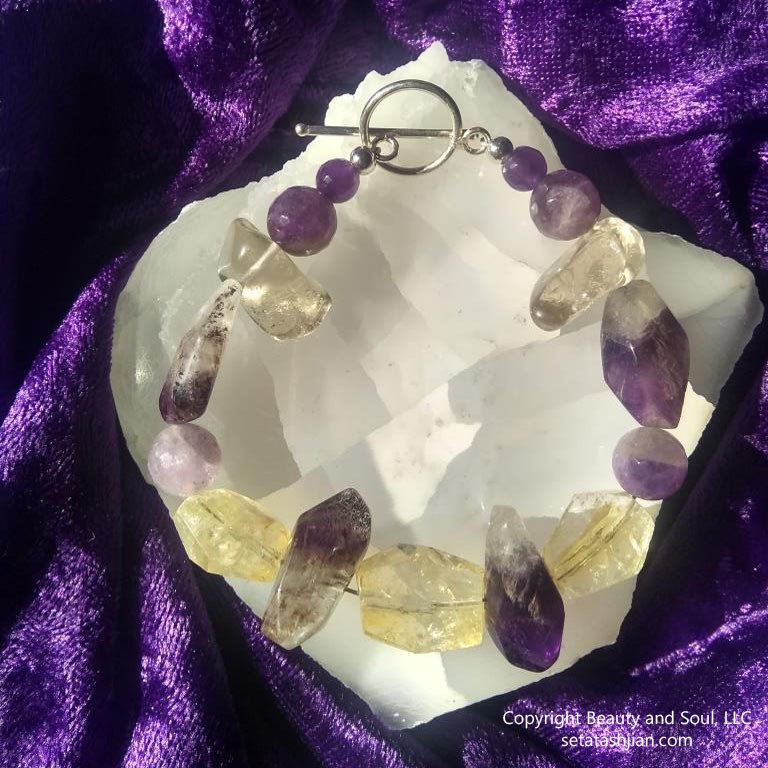 8” – Citrine, Amethyst and Chevron Amethyst – This bracelet was designed to specifically help you with healing, transformation and abundance. 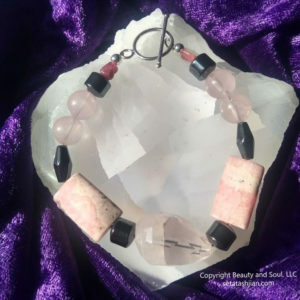 These stones work very well together to help clear any negativity you may have around self-worth and will help open the doorway to good luck. 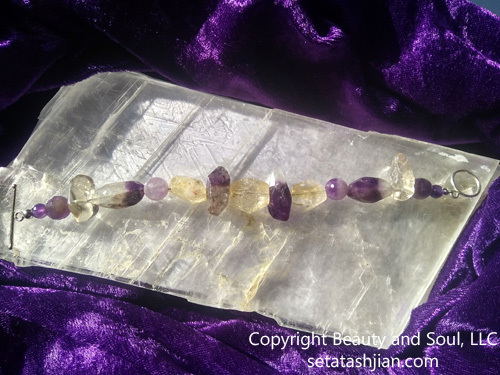 As Citrine is a self-cleanser, it will help to keep the stones around it cleansed too. 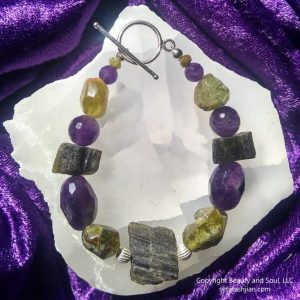 It is recommended to be worn on the left arm.